Here is the companion recipe to Ingredient Function Friday, Episode 8 - All about cinnamon. These cookies melt in your mouth. They are great keepers if stored in an airtight container. 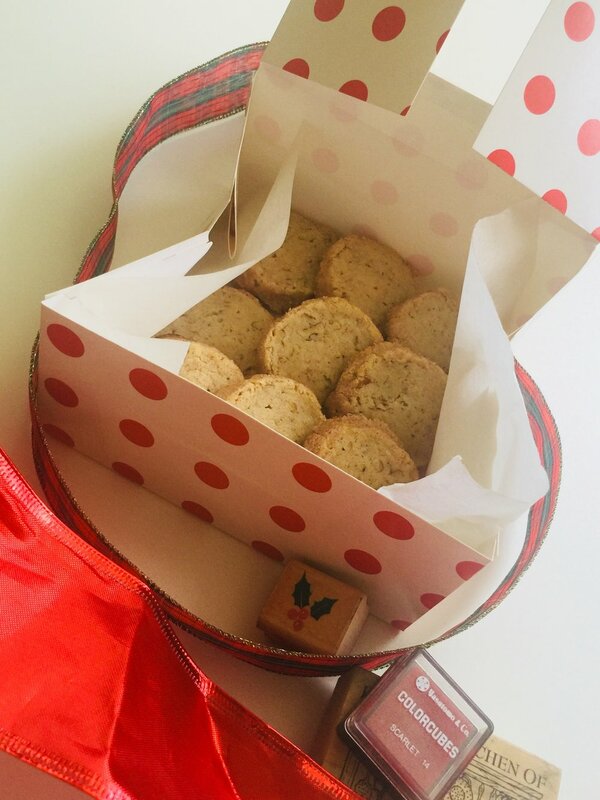 And if you like to send cookies to friends in faraway places - these are perfect. Now, while these cookies are not terribly fancy as holiday cookies go, they are quick to make and delicious. I am not so sure any of us have the time to make those fancy cookies. I dream about making fancy intricate cookies with lots of royal icing...but the reality is there is no time. That's why recipes like these are just great - try them. Finishing: Cinnamon sugar (7 ounces, 1 cup sugar + 1 ounce (2 Tablespoons cinnamon) and 1 reserved egg white beaten with 2 teaspoons of water until smooth. 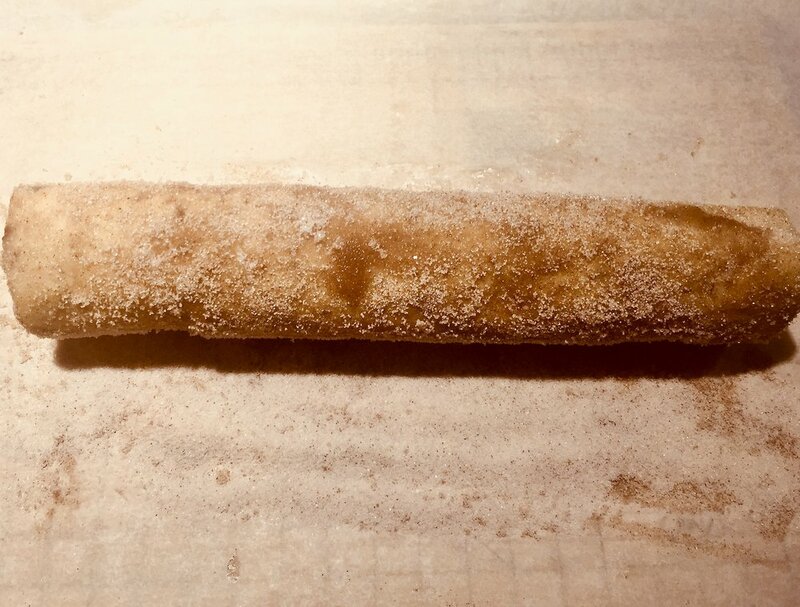 Make space in the refrigerator or freezer to chill your cookie dough roll. 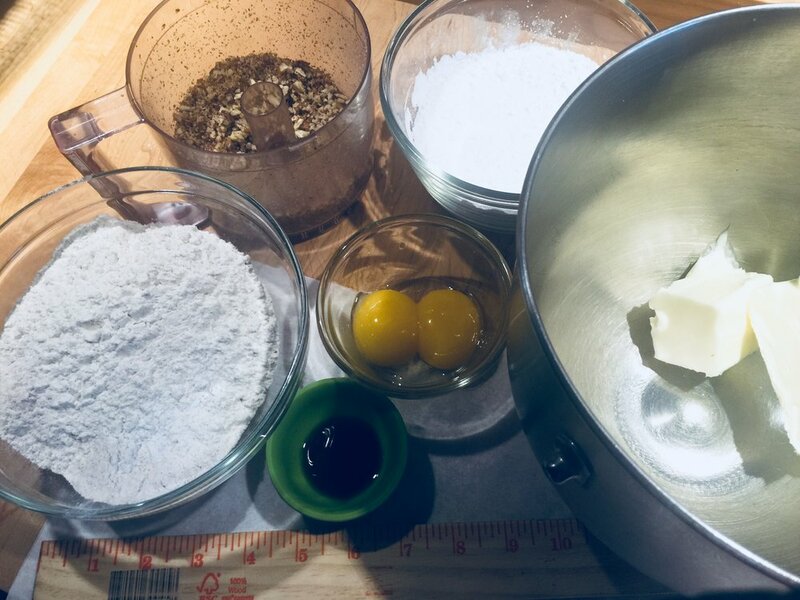 In a mixer fitted with a paddle attachment, cream the butter, both sugars and vanilla on low speed until the ingredients come together - the mixture will still look shaggy. Turn the mixer off, scrape down and then mix on medium speed for one minute, this dough should not be over mixed. 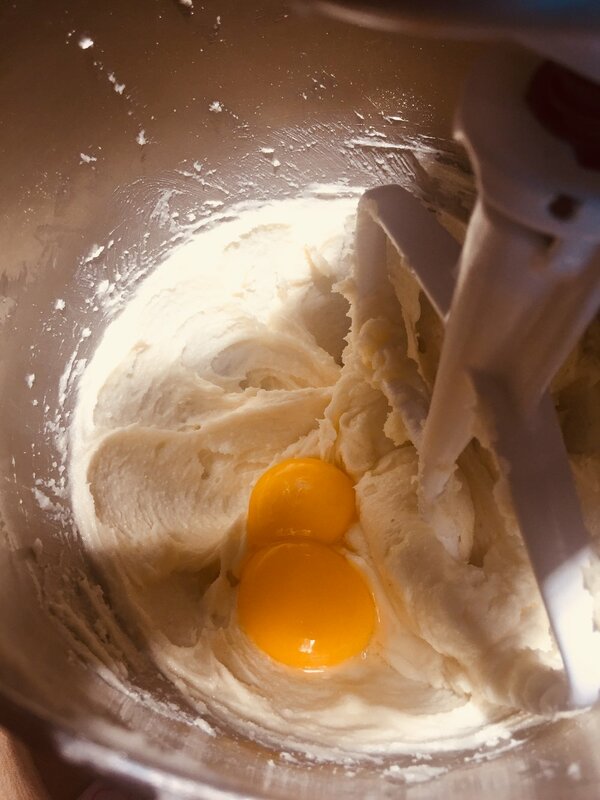 Egg yolks are added and butter, sugars and vanilla mixture is not over mixed. Too much air and the cookies will spread. 4. Add the 2 egg yolks, mix on low speed for 20 seconds. Turn off mixer, scrape down and then mix on medium speed for 25 seconds. Scrape down. 5. Sift together, flour, salt and cinnamon and add to butter and egg mixture. Mix on low speed for 30 seconds. 6. Add nuts. Mix until just combined. Flour and creamed mixture - this is how it should look before the nuts go in. Mix halfway and then finish after adding the nuts - this way the dough will not be over mixed. 7. Dump dough out onto a piece of parchment paper. If you only half have sheets of parchment paper, divide the dough in half and shape one half at a time. Dough log on paper - ready to shape - the goal is 18"
8. Shape the dough into an 18" log (9" if you have half sheets of parchment, make 2. Next bring the bottom edge of the parchment paper up and over the dough, then wedge the ruler in the fold between the dough and the paper and grab the top edge of the bottom parchment paper. Pull hard and the dough forms into a nice tight cylinder. Roll up in the parchment paper and twist the ends. Wrap in plastic wrap for longer storage. Dough can be frozen for one month. If using right away chill for one hour, minimum. Remove log from refrigerator and brush with beaten egg white. If the dough has been frozen, let soften at room temperature for 20 minutes or thaw overnight in the refrigerator. Brush dough with beaten egg white wash and roll in cinnamon sugar. Using a shard chef's knife cut slices 1/2" thick. Place on sheet pan. They do not spread much so that can be 1" apart. Place in the oven and check in 12 minutes. The cookies should not take on color but should look opaque. I did double pan at 12 minutes and they took 18 minutes to bake - but remember everyone's oven is different. I cannot tell exactly what temperature my oven is at and it tends to run hot.